Having written five books myself (mathematical cryptographic software and hardware) I can be a tough reviewer of new books. But this is a GREAT book. Jim has, at considerable personal expense, consolidated 20 years of glassblowing into the 248 pages of this book (and the DVD's). I predict that 20 years from now, folks will still be referring to this as the standard classroom textbook for glassblowing. Just to be clear, I have no financial interest in making that recommendation to you. Jim also offers DVD's which visually show the material in this book, and I hope to add a separate review of the DVD's shortly. I had to fly from Philadelphia to Los Angeles and back to Philadelphia, and the flights afforded me the time to read this book, cover to cover, every word on every page. I highlighted this book so much, I used up an entire yellow highlighter, and had to start a second new highlighter on page 98. 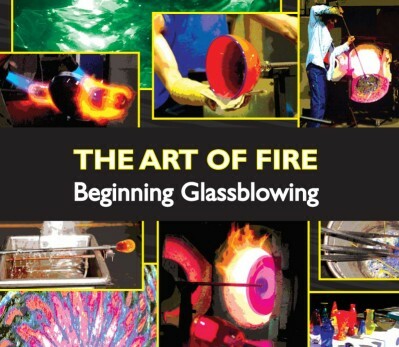 This book is positioned as a book for beginners, but it is much more than that -- it is a book on glassblowing FUNDAMENTALS. 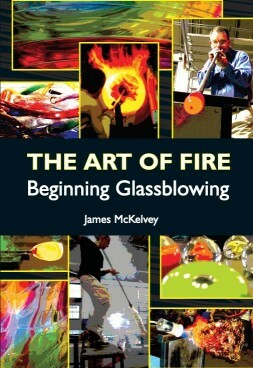 Yes, beginners need to learn these fundamentals, but IF YOU WANT TO BECOME A BETTER GLASSBLOWER, YOU NEED TO BUY THIS BOOK. Jim also makes the point early in the book that studio time is expensive, so anything you can do to make that time more productive (including practicing outside the studio) become very worthwhile, and that is one of the main ideas of this book. Usually Appendices in books are where authors put supplemental material that adds little additional value to the core ideas of their books, but in the case of this book, Appendix A "Fifty Fixes to Fixty Problems" is one of most valuable parts of this book! If any one of these fixes saves ONE piece which would otherwise be lost, then this book has paid for itself! I was joking to a couple of the glassblowing students at school that I've seen at least 40 of the 50 problems at the end of my blowpipe, and then wouldn't you know, later that day as I was working in the studio -- I recognized a new problem that Jim had specifically identified and photographed, in a piece I was making! One of my favorite quotations is Pasteur's "Chance Favors a Prepared Mind", and that is why this appendix is so commendable -- it prepares your mind for the inevitable glassblowing problems, and how you can manipulate the glass to adjust or fix those problems. There is, of course, emphasis on safety fundamentals in the first chapter, followed by an explanation of studio equipment in Chapter 2. I was happy to read the references to the use of blow-hoses on pages 4, 113, and 181 (my Steinert blow-hose is great!). There is a certain zen-like nature to this book, which is nicely accompanied by Jim's sense of humor. On page 41, when talking about ascertaining the level of glass in the furnace when gathering, Jim says "When your heart is pure, and your are ready, you will know". In terms of understanding how crucial understanding "heat management" is while working on a piece on page 89, Jim describes this as "eventual enlightenment". on page 177 there is another great quote: "Just like any other extreme sport, there is a lot of preparation that precedes chaos". Page 134 "Choosing the Right Tool" may be the single most useful page in the whole book for a beginner. He describes each of the tools, but starts with GRAVITY, and states "Gravity by itself is the best shaping tool. It leaves no marks or cold spots, use it liberally." That quote should give you a wonderful sense of the practical and pragmatic information contained within this book. I also want to point out the "Go Practice" exercizes at the end of many of the chapters, as being very useful. p.s. one of the cool features of the www.stlglass.com website is the LIVE WEBCAM - check it out! Or if you prefer, check out Amazon for this book.